From Educational Insights comes the GeoSafari Wearable Adventure Tools Wrist Band. Little adventurers can collect specimens while on their adventures and store them in the wrist band. Little scientists can explore, measure, magnify, and more with the GeoSafari Wearable Adventure Tools Wrist Band. The hinged dome has air holes in it so that little explorers can put a bug in there to explore and investigate for a bit. I think that the younger recommended age spectrum would adore this wearable explorers watch. If I was to recommend anything, I would recommend maybe adding a real digital watch and a bit larger of a compass to the GeoSafari Wearable Adventure Tools Wrist Band. These two recommendations would make great additions to the already awesome adventure tool. I love products that get kids exploring and learning and this is exactly what the GeoSafari Wearable Adventure Tools Wrist Band does. 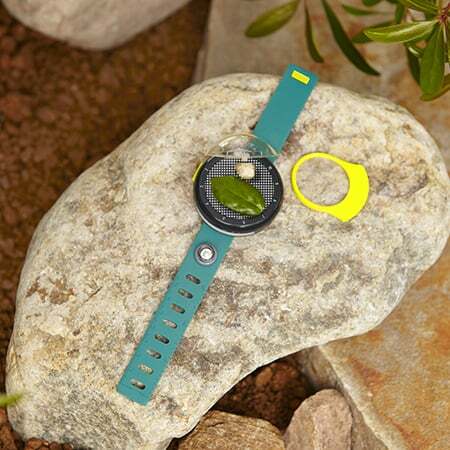 The GeoSafari Wearable Adventure Tools Wrist Band is perfect for hikes, walks in the park, camping and just about any time little explorers are in the great outdoors.